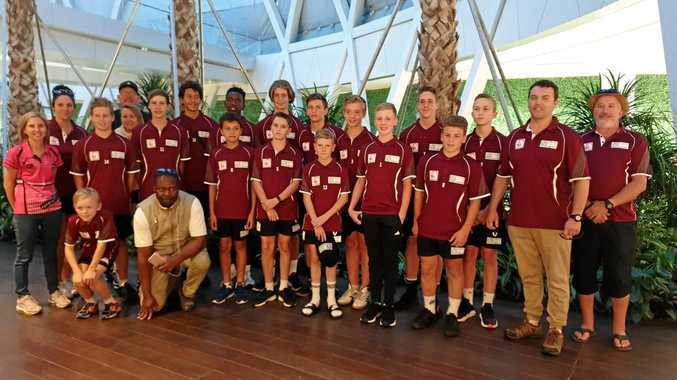 SOCCER: Central Queensland Raptors captain Ky Geddy and coach Chris Engelbrecht say a trip of a lifetime will raise the standard of the sport in the region. 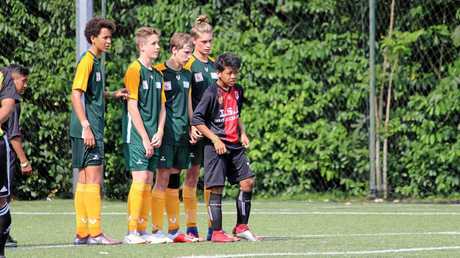 Geddy joined fellow Gladstone players Jimmy Reid, Maksim Bijelic, Cooper West, Ryan Young, Nic Barton, Tiaan Engelbrecht and Ryan Walz to play in the recent SingaCup tournament in Singapore. 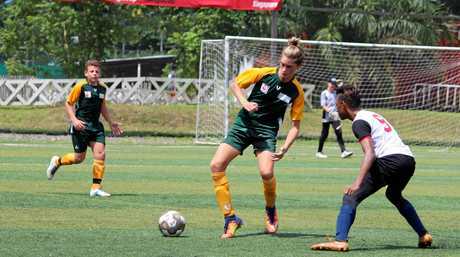 "It was awesome to play against international teams and experience the Singaporean culture," right-centre-back Geddy said. He said one of the many highlights - aside from a visit to Universal Studios - was a 1-1 draw against Singapore. "It was awesome to play against international teams and experience the Singaporean culture," Geddy said. Engelbrecht said the trip was designed for his players to adapt and improve against premier level teams and national representative teams. He said conditions were testing. "Conditions were hard and the pitch temperature was 41C plus (making it) difficult to maintain hydration. For some players (it was their) first time on astro-turf fields," Engelbrecht said. "As a coach, this was good ... my intention was never to enter the team into an average competition. "I wanted them to see and learn and it was never about winning a trophy. "If that was the focus I would have bought them all a $10 trophy in Gladstone." The coach struggled to name individual players who performed but he said there were plenty of positives throughout the three-day competition. "Every player was asked to perform their best in their individual position and as a team," he said. "Our defence was impressive and improved with every game. Our core learned to maintain their shape and to hold the defence and not to rush in when the opponents were in possession of the ball. "It's difficult to point out better performers as all the players moved up a level." Geddy skippered the team in game one and Engelbrecht then appointed captaincy duty to other players for the remainder of the tournament. With the success of the trip, which was also a part of an LS Tours package, Engelbrecht said he wanted the tournament to grow. "This international tournament was a perfect learning platform for our players," he said. "I'll be taking more teams next year to share the experience with other players who have the hunger to develop their skills." Of course, the down-time was a bonus. "Players enjoying the experience with their parents and after every game, the groups were simply enjoying a real family holiday. It was good seeing all the smiles and laughter," Engelbrecht said.